The big picture: Love it or hate it, the notch is here to stay. So, too, is the era of the affordable flagship and that's something consumers from every walk of life can get behind. Chinese electronics maker Xiaomi at an event in Shenzhen on Thursday announced its first smartphone with a notch, the flagship Mi 8. The overall design is strikingly similar to Apple’s iPhone X although eagle-eyed observers will spot a few subtle differences. The Mi 8 features a 6.21-inch AMOLED screen with 600 nits of brightness and a resolution of 2,248 x 1,080 pixels (88.5 percent screen-to-body ratio). At the heart of the handset is Qualcomm’s Snapdragon 845 SoC alongside 6GB of RAM and your choice of 64GB, 128GB or 256GB of storage. There’s also the Mi 8 Explorer Edition which features an in-display fingerprint sensor, 3D face recognition, a transparent back panel, 8GB of RAM and 128GB of storage for a bit more cash but more on that in a bit. Around back, you’ll find a familiar-looking vertically-arranged dual camera array consisting of two 12-megapixel shooters. Xiaomi claims the AI-assisted camera is the best they’ve ever produced, turning out a score of 105 in DxOMark’s Photo benchmark. Up front is a 20-megapixel camera with f/2.0 aperture, also with its own set of AI tricks. Xiaomi says the Mi 8 is the first phone to use dual-frequency GPS. By utilizing both L1 and L5 bands, the company claims its navigation accuracy is three to five times higher. 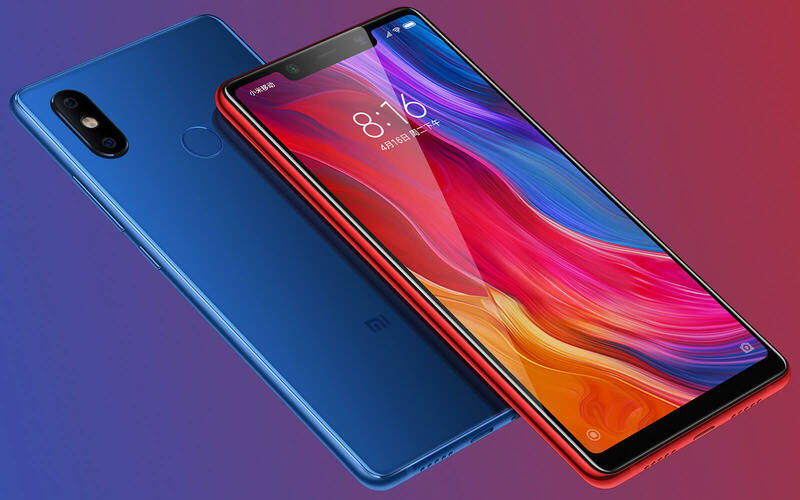 The Xiaomi Mi 8 starts at ￥2699 (~$420) for the 6GB + 64GB while the beefier Explorer Edition will set you back ￥3699 (around $577). They’re set to launch first in China on June 5 and although a broader rollout is expected, no additional availability has been revealed yet. Hopefully that changes soon as these look like a solid Android offerings at a very reasonable price.